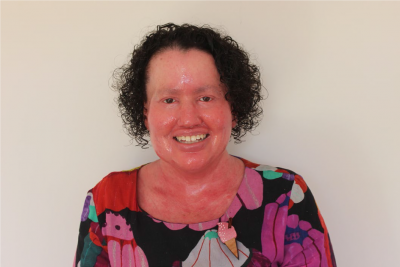 Blogger and appearance activist Carly Findlay will edit the forthcoming anthology Growing Up Disabled in Australia, to be published by Black Inc. in 2020. Findlay says she wants young disabled people to read the anthology and ‘know what’s possible for them, to see that other disabled people have had similar experiences, and to feel the impact of visibility and positive representation’. The activist, whose memoir is due to be published by HarperCollins in early 2019, emphasised that it’s important for #OwnVoices perspectives to be centred, ‘particularly because disabled voices are so often silenced, erased or spoken over’. The anthology, aimed at both general readers and high-school students, is the most recent addition to a series of life writing that includes forthcoming titles Growing Up Queer in Australia and Growing Up African in Australia, and the previously published volumes Growing Up Aboriginal in Australia and Growing Up Asian in Australia. Publisher Kirstie Innes-Will says she was delighted that Findlay approached Black Inc. with the idea, saying that part of the strength of the series is ‘the way it has evolved organically, championed by editors from different communities’. ‘The way these books have been embraced by readers shows how much representation matters,’ says Innes-Will. Submissions of between 1000 and 4000 words will be accepted until 31 May 2019. Growing Up Disabled in Australia will be published in April 2020. For more information, click here.